FEDERICO DORDEI – well known for his impressive work as an actor in film and television – sat down for an interview with Cultscoop's own Interviewers: SHANNON LUSTER & SHARON JORDAN. 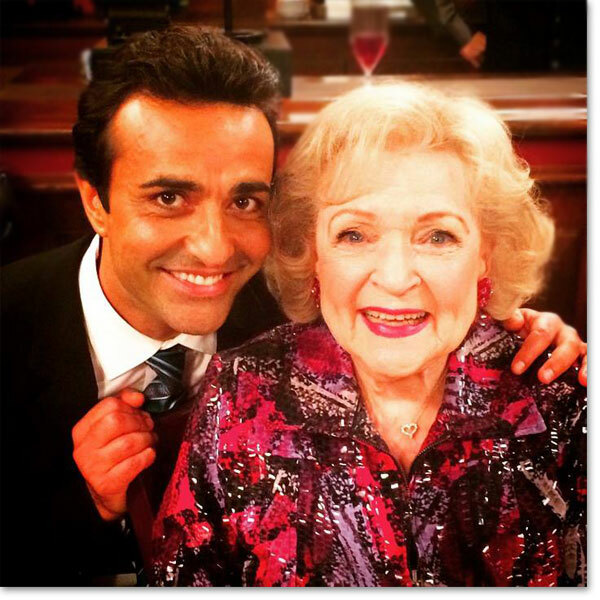 Read here as FEDERICO DORDEI discusses working with such notable names like JANE LYNCH, KAT DENNINGS, and MAGGIE LAWSON, BETH BEHRS to name a few. His first A-list movie was LUCKYTOWN, acting alongside JAMES CAAN, KIRSTEN DUNST, and LUIS GUZMAN. FEDERICO DORDEI has also succeeded in television, acting on such hit shows like 2 BROKE GIRLS and ANGEL FROM HELL to name a few, which he talks about here too. Read about that and more in an interview with impressive actor, FEDERICO DORDEI. SHANNON LUSTER: You have been cast in a recurring role as Luis on "2 Broke Girls." What are some of your favorite moments working with Kat Dennings and Beth Behrs? And I wouldn't have been able to without Kat and Beth's help. Quite often the writing changes, during the show, on the spot! And you have a minute to understand it, memorize it, and perform it. Kat is such sweetheart and Beth is such a vibrant being; they immediately welcomed me like a family and treated me as such. I will never forget my experience on that stage, 10 memorable episodes, 4 months of a dream come true. SHARON JORDAN: Recently, you were cast as Melvin on the new sit-com "ANGEL FROM HELL." 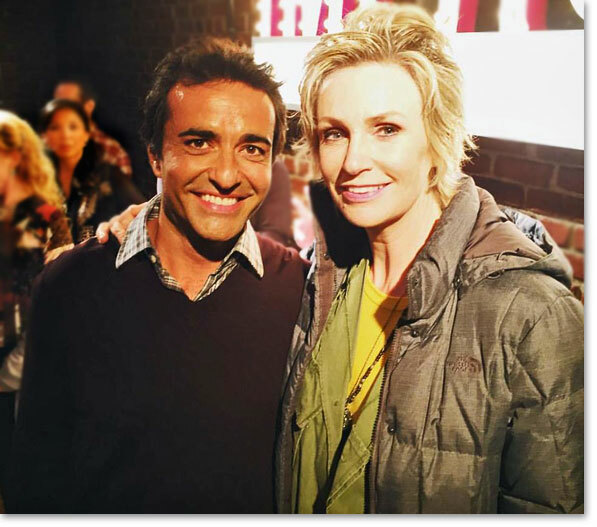 What was it like working with Jane Lynch and Maggie Lawson? Maggie is a very professional actress; she's kind, and sweet to everyone. She always has a smile on her face that made everyone around her feel comfortable, even after 13 hours day! She made working with her so easy because of her demeanor and how present she is. She's great. I noticed that the whole ensemble was like a family. ANGEL FROM HELL is gonna do great! My hilarious episode will air in a month or so. Don't miss it! Episode 9! moments on the set that you would like to share with us? FD: It was my first big movie with an A-list cast; you had to pinch me to believe it every day. 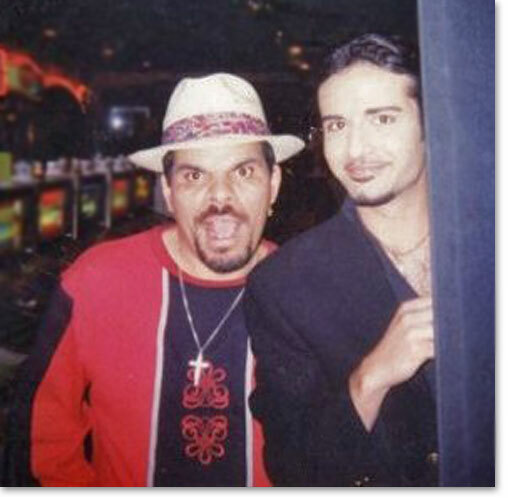 Luis Guzman was my partner and we became very close. I was very young and Luis was like a friend/ father figure and a mentor. I learned so much from him, and he will always have a special place in my heart; we'll always be friends. Our chemistry was undeniable and it showed on the screen. Jimmy Caan was the Godfather from whom everyone wanted approval. During the 4th week of shooting after a scene, he puts his hand on my shoulder and says, "You're gonna go far, mark my words." So my legs shriveled, and I had to go pee from excitement. Vincent Kartheiser is a riot to be around, the most free spirited being I've ever met. We took many road trips together, and we had many adventures that should be kept in a sealed box. Kirsten Dunst was 16 at the time. So, she was always with a tutor and didn't socialize much, except on set when she would take breaks from listening to her, at that time, Walkman. Music was her preparation for every scene. LUCKYTOWN was a fun, outrageous experience I'll always cherish in my heart. SJ: Who and/or what inspired you in your impressive career? Behind the scenes of LUCKYTOWN. FD: Alright ... The phony answer would be: I always loved the craft of acting. I decided to pursue this journey because of my love for the study of it, the preparation, bringing a character on paper to life! Well that's maybe true now, but it definitely wasn't when I was 17 and wanted to be an actor. I loved being at the center of attention, I loved entertaining my friends, most of the time on my expense; I just wanted attention, I wanted to be FAMOUS, RICH, loved by people all over the world... But at that time, I had no idea of what being an actor was. After moving to LA at 18, I signed up at The Stella Adler Academy of Acting, and there I found the real love for the craft. Once I jumped in the working machine, I realized that money fame etc... are not goals but accidents. I fell deeply in love in transforming myself in someone new every time. And that was enough for me to feel realized and complete, even if I would have to struggle to make ends meet. Now, it's all I love to do, it's all I want to do, it's my life. Survival is not always easy, but when you work, it makes the suffering of the journey so worth it. FD: My advice to any actor of whatever race, nationality, type... If it's all you want to do in life, and if you're ready to have an unstable life without guarantees of any kind, then NEVER STOP PUSHING! I've heard things like "with that accent you'll never work," "with your mixed ethnicity, you're not 100% Hispanic, nor Italian, nor Middle Eastern, you will hardly fit anywhere," " ethnic roles are fewer than most and combined with your accent, you better find something else to do." I could go on for pages about all the negativity that I had to hear through the years. Just let it go through one ear and out on the other. Insistence, excellent preparation, good demeanor, and being true to yourself will break any resistance ;) you just never know how long it will take... In reality, you have to be willing to sacrifice your life and be all-in, without any guarantee. No matter what, I wouldn't have chosen any other path. SL: What's next for Federico Dordei? I have a FIAT campaign for the new 500X (Tony fix it) that I'm hoping will start airing soon. I have a hysterical episode in the upcoming show for Showtime, DICE! with the legendary Dice Clay! I had a riot playing myself in it... No character this time! Also, I have a super funny pilot in which I'm a series regular, called ESL. Again, I play myself and can easily say that it's the best comedic work I've done so far. The pilot is now airing on FUNNY OR DIE, and it's getting awesome reviews. I hope it will find a home (network) soon; I'm never been so proud of a project. I'm starring in the psychological thriller GIRL MISSING, which is currently airing on the Lifetime Movie Network with Kirsten Warren and Francesca Eastwood, where I will definitely creep you out from beginning to end! Much love to all the readers, and thank you for your interest and support. I appreciate you immensely.